Just started playing Battlecast and need more cards? Here's how you do it! Skylanders Battlecast is unique in that it brings the "toys to life" philosophy of the Skylanders games to mobile devices. 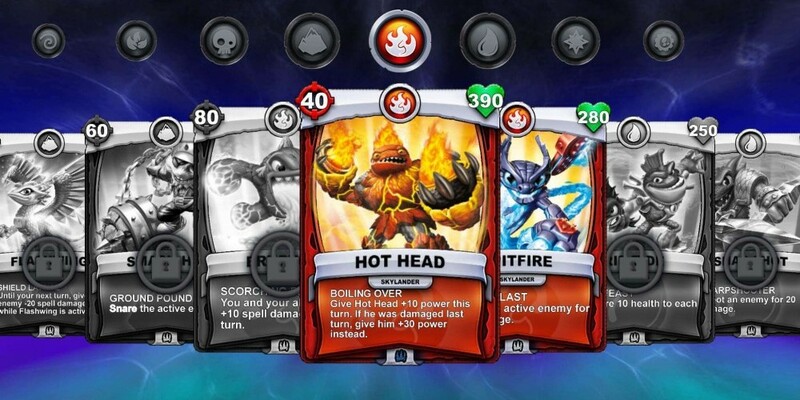 The game itself features several cards that can be used to scan via the app which will turn into cards you can implement in-game. If you're familiar with purchasing the figures from the series to place them on your special pedestal and then watching them come to life, you'll be right at home here with the premise. While you don't have to have the physical Battlecast cards to engage in battle, it's a good idea to grab a few if you really want to get the most out of your game. If you do decide to purchase cards, you can pick up Battle Packs, which come with an assortment of 22 cards, and Booster Packs, which add 8 cards to your collection. Each pack has the chance to offer you a card that's either rare or higher. There are four kinds of cards: Common cards, which you can tell from the gray symbol on the bottom of the cards. They'll be added to your collection at level 1. Rare cards have blue symbols, Epic cards have purple, and Ultimate cards have gold symbols. There will be over 300 cards for you to collect, including various types of character cards, elemental cards, non-elemental cards, and character-specific cards. Some cards have special versions with silver and gold borders around them, and they'll be scanned in to start at level 10 when silver and 20 for gold. To scan a card, you'll have to download the Battlecast app for free and get through the initial tutorial levels. After you're able to get in through the main menu, go to the option on the bottom left to scan cards in. You'll be asked to position your card in front of the front-facing camera. Once you've scanned your card in, it will be added to your collection. However, once you've scanned a physical card in, no one else will be able to do so. You can rescan that card at a later date and it will retain its information, but you can't trade it away and make use of it again. The card will be tied to your account after you've scanned it. However, if you happen to have a duplicate card, you'll be able to scan it and upgrade your existing card. This will go a long way to helping you get your gold and silver foil card upgrades.